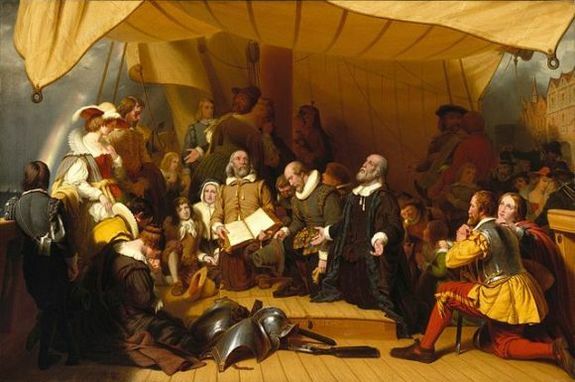 As the 400th anniversary of the landing of the Mayflower approaches, there is a renewed interest in the first English settlers to America and in the original materials that document their story. Hear from preeminent early American genealogists and historians, Robert Charles Anderson, FASG and Dr. Francis J. Bremer about their continued contributions to early New England scholarship and their planned projects in advance of the year 2020. Robert Charles Anderson will discuss his research on the genealogical and ideological connections among the Puritans who settled New England, featured in his forthcoming book, Puritan Pedigrees: The Deep Roots of the Great Migration to New England (due out in 2018). Dr. Bremer will discuss the importance of William Bradford’s journals to our understanding of this period and he will preview his plans for a newly transcribed and annotated edition of Bradford’s work, Of Plimoth Plantation—which will be available in print and online.